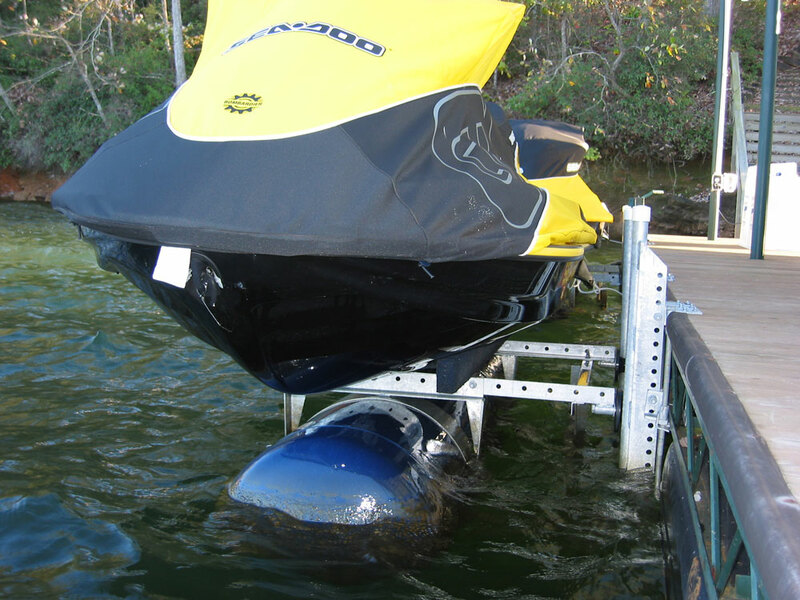 The HydroPort Pro™ Side Mount PWC Lift works on a tracks system that has a tank similar to a boat lift that raises up and down. This lift does require power as well as 4ft of water depth under you dock. This lift will keep you PWC out of the water and ready to use at any time.